Giant Jenga is such a classic! Take turns to remove the bricks from the stack and place them on top of each other the tension mounts until finally the inevitable happens and the stack falls over. Over one meter high at the start with no gaps Giant Jenga provides hours of fun for players. 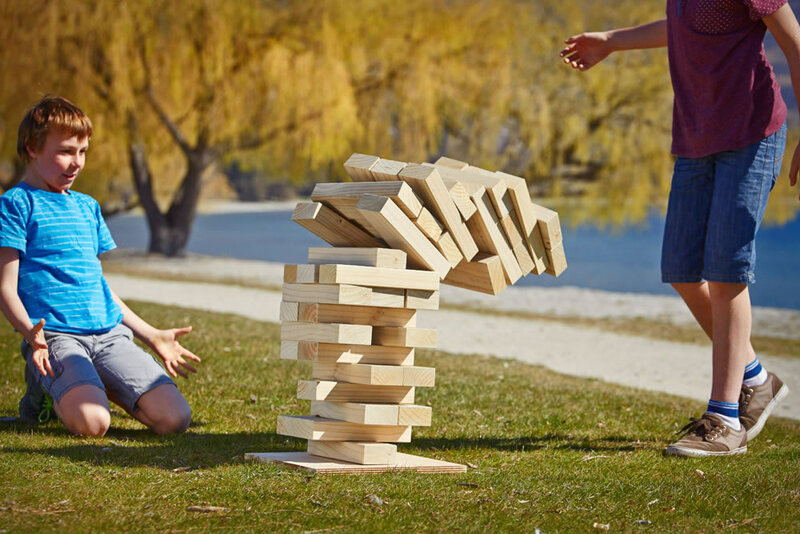 Giant Jenga is not suitable for small children.